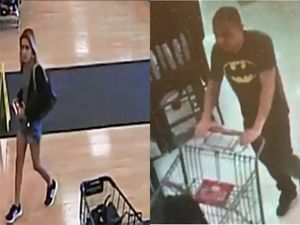 HARLINGEN — Two unrelated shoplifting cases in recent weeks have Harlingen police on the hunt for two people. The first incident took place Oct. 6, at Marshall’s on Expressway 83. 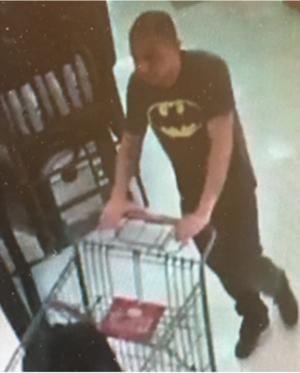 An officer spoke with an employee who informed the officer of a woman who had allegedly grabbed two purses, valued at $258, and walked out of the store without paying. According to the employee, the woman had a tattoo of Tinkerbell on her left calf and left the scene in a beige 2008 Volkswagen. The license plate of the vehicle may be JYH 044. A second shoplifting case took place Oct. 19, at the H-E-B on Commerce. In this case, an employee told an officer, a man made off with just under $15 worth of merchandise which he had stuffed into a backpack. The suspect is said to be 5 feet, 9 inches tall and may weigh around 150 pounds. Anyone with information on the case is asked to call Crime Stoppers at (956) 425-TIPS (8477).